CROWDFUNDING - Crowdfunding is not a new phenomenon. Businesses and entrepreneurs have for centuries sought out inventors, to fund new ideas and inventions. Even great designers and engineers such as Isambard Kingdom Brunel, had to seek ‘financial backers / investors’. Usually, an individual or company will approach a bank or financial institution, for the capital to invest in a business or in the development of an idea/design. Crowd funding is slightly different. The person / company seeking funding, sets up a ‘page’ on a crowd funding website. It is the members of the crowd funding website who may respond to the sales pitch of the person / company. Members may decide to invest and in return they may gain shares in the business. The aim of the members, is to make a profit from their investment. Crowdfunding can also be achieved through using social media, business acquaintances or even family and friends. Making a profit is not always the motivation for investing through crowd funding. Sometimes people contribute because they feel that the project being funded, is for social well-being or for moral and ethical reasons. The first recorded crowdfunding took place in 1997, in the early days of the internet. The British Rock Band ‘Marillion’ could not afford to tour the USA. Their US fans raised enough money through crowdfunding, to ensure that the US tour took place. 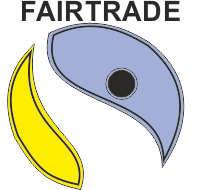 FAIRTRADE - A symbol that is occasionally seen on packaging is the Fairtrade symbol. This means that the contents of the package has been produced in the Third World and that the producer (ie. the farmer) has received a fair and realistic price. This provides a financial safety net for the farmers and their workers. It also means that the produce is not from countries, whose Governments help their industry / agriculture undercut those of much poorer countries by giving them subsidises. The Fairtrade system, ensures realistic prices for farmers goods and Fairtrade Standards aim to protect the basic rights of workers and guarantee good working conditions. Currently, there are more than 1.65 million farmers and workers involved in the Fairtrade system. COOPERATIVES - A cooperative is a business, set up by like minded individuals. Currently, there are over 7000 cooperatives in the UK, operating across the economy, from farming and distribution, to retail outlets and Leisure Centres. They contribute significantly to the economy. Cooperatives are owned by their members, who are usually their employees and customers. They have social aims as well as economic ones, reinvesting some of their profits in the local community. The cooperative movement has developed from the ideas of Robert Owen and his book in 1813, called ‘A New View of Society’. He suggested setting up ‘villages of cooperation’, through which all the necessities of life would be produced and shared by members. Cooperatives have a much better success rate than private companies. Over 80% of cooperative ventures are still running after their first five years, which compares well with the 40 % of private enterprises, that survive the first five years.